Here is a creepy last minute Halloween cocktail. The recipe and how-tos for the “Dirty Eyeball-tini” is found on their site. So creepy! But I am sure it’s delicious and sure to entertain your friends. Yesterday, Meaghan brought you her original Oreo Cakester Spiders. 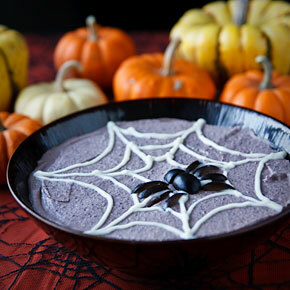 And today, here are 30 spider treats and crafts to totally freak me out. I mean, inspire you.